The Future Internet Graduate School (FIGS) is a new doctoral programme funded by the Academy of Finland for the period 1.1.2010-31.12.2013. FIGS is a multi-disciplinary school, covering Future Internet research of technological, economical, social, legal, and behavioural issues delineating Net’s acceptability and use. FIGS is a joint venture of Aalto University, University of Helsinki, and Tampere University of Technology. 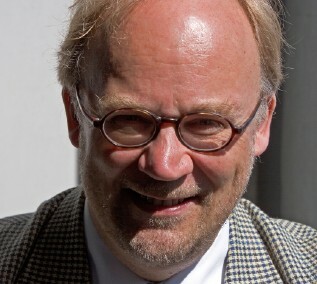 The Director of FIGS is Professor Martti Mäntylä from Aalto University. The first Call of Applications for FIGS was opened 1.9.2009-16.10.2009. FIGS has ten funded positions for doctoral students. The employers of students selected to these positions will receive partial funding for the salary of the doctoral student. Unfunded adjunct positions are also available and entitle the student to participate in FIGS activities. FIGS themes and operations are closely linked with the activities of the ICT SHOK Future Internet research cluster. The Future Internet Graduate School complements this effort by educating scientists who can contribute to Future Internet research based on deep technical competence combined with equally deep understanding of the socio-economical issues.